One of the Best Filter and FX plug ins for Maschine? CamelPhat for sure! I am a huge fan of good filters and multi effect plug ins. I horde them like golden treasures and use them often. Recently I had the pleasure of coming across CamelPhat from Camel audio. In its latest version (3.5 as of this writing) I am finding my self using it more and more often. Everything from side chaining a bass line with the LFO pumping away, to Resonating distortion on my snares to warm subtle tube saturation on a rhodes patch all the way out to moving swirling flangers and hectic rhytmic pulses. Camelphat seems to do all this not only while staying light on the cpu but being laid out in such a way its incredibly fast and intuitive to use right from the maschine hardware. Here is a list of some of the features in this plug. ‘Phattening’ multi-effect, great for punchy drums, bass and lots more. 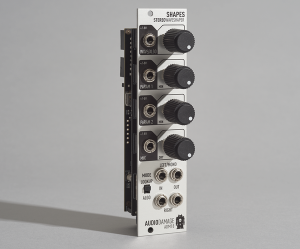 Four distortion modules; warm and soft to crunchy and fat. Magic EQ, compressor, three filters, two LFOs, envelope follower. Easy-to-use, with X/Y pad and intelligent Randomize. Be sure to check out http://www.camelaudio.com/index.php I am really impressed by the sound of this one.